Are These the Airplane Wings of the Future? Dynamic and reactive. Are these faster, better, smarter? Or a bust? When you think about the future of flight, what do you think about? Enhanced automation? Faster speeds? Airplane wings are what the great minds at NASA and MIT are thinking about. Their latest invention heavily changes the wings of today for the better. According to the engineers, the new wings automatically adjust during flight. As new environmental factors arise during flight, these wings change their form to fit the new conditions. To accomplish this, NASA and MIT engineered a flexible yet sturdy wing comprised of a bunch of tiny pieces. Collectively, these individual units make it possible for the wing to passively readjust in a number of ways. Before we dive into this topic, let’s take a step back and appreciate how far we’ve come in the world of aviation. It’s been a long time since the Wright Flyer in 1903. Those straight double-layered wings may look odd today, but they paved the way to where we are today. Thanks to NASA engineers back in 1947, technology allowed us to reach speeds up to 660 mph. But there was a problem with going that fast. As planes approach the sound barrier of 767 mph, more and more resistance is generated. When moving at the speed of sound or beyond, air molecules are unable to move out of the way fast enough, thus slowing the object down. Most of us know this as drag. Richard T. Whitcomb, NASA engineer, set out to eliminate the drag holding aviation back. An aerodynamics aficionado, Whitcomb discovered that a flat top and curvy bottom was one design that could minimize drag for airplane wings. And that’s the design we still use to this day. Although the modern design works, its frozen state is not necessarily the most efficient. That’s why wings today have ailerons. 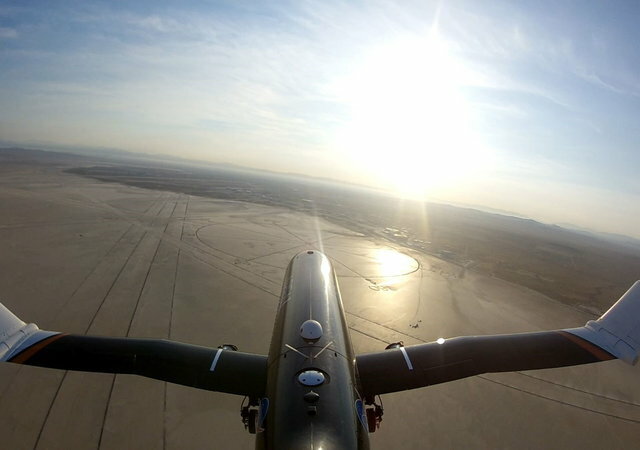 The new dynamic wings builts built by NASA and MIT don't need ailerons to control for flight. The wings they built automatically change their entire shape based on aerodynamic conditions. Nicholas Cramer, NASA Ames research engineer, says, “We’re able to gain efficiency by matching the shape to the loads at different angles of attack”. If true, these self-adjusting wings may assist pilots control the aircraft better. The tiny individual pieces link together to create a lattice. The flexible design morphs based on what the plane is doing, such as taking off or landing, so pilots can focus on other vital aspects. As an added bonus, the lattice framework is a lot lighter compared to the wings we have now. Which means less energy is required to operate the aircraft. What do you think? Are you excited to give these new wings a try? Let us know in our forum.